Valentine’s Day is this Saturday, the perfect holiday for those romantics out there. Why not buy something extra special this year besides all those chocolates, flowers, and champagne bottles that are so cliche! I have been scoping out the internet for something unique for Mr P this year and here are a few things that caught my own eye if someone needs a hint or two out there. Of course, us ladies love those cliche presents too but sometimes it’s a nice surprise to open something truly thoughtful and unique. I love a card that has thought into it like this puzzle one and the book of everyone is for couples and you personalize it. Anything personalized is a winner in my book for sure. I love a good old kitchen accessory like this toasting kit and something I could do with the kids too. These necklaces I thought we trend and cute. 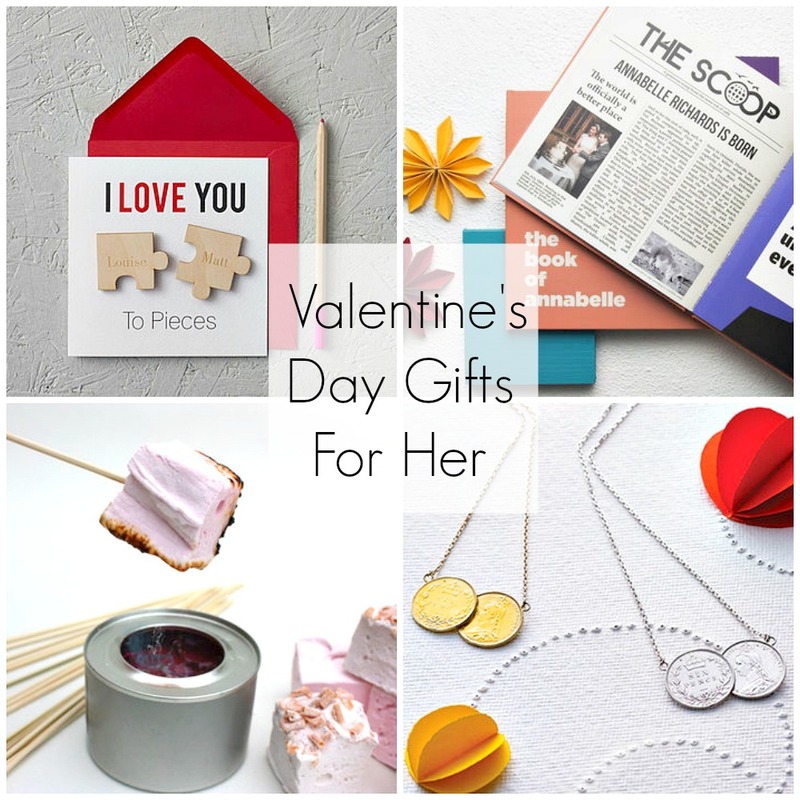 Its not hard to think outside the box for the perfect Valentine’s Day gift for her. Men are a little harder to impress when it comes to gifts. My husband doesn’t necessarily like presents that are keepsakes. He is more of a useful present kinda guy. Gin & Tonic is one of his favorites and he can never have enough cufflinks for work. (especially because he lose them alot). The photo block while isn’t necessarily useful he does like to showcase his kids in his office at work. I love this bracelet idea although I am not sure he would wear it but I do think it would really suit him. 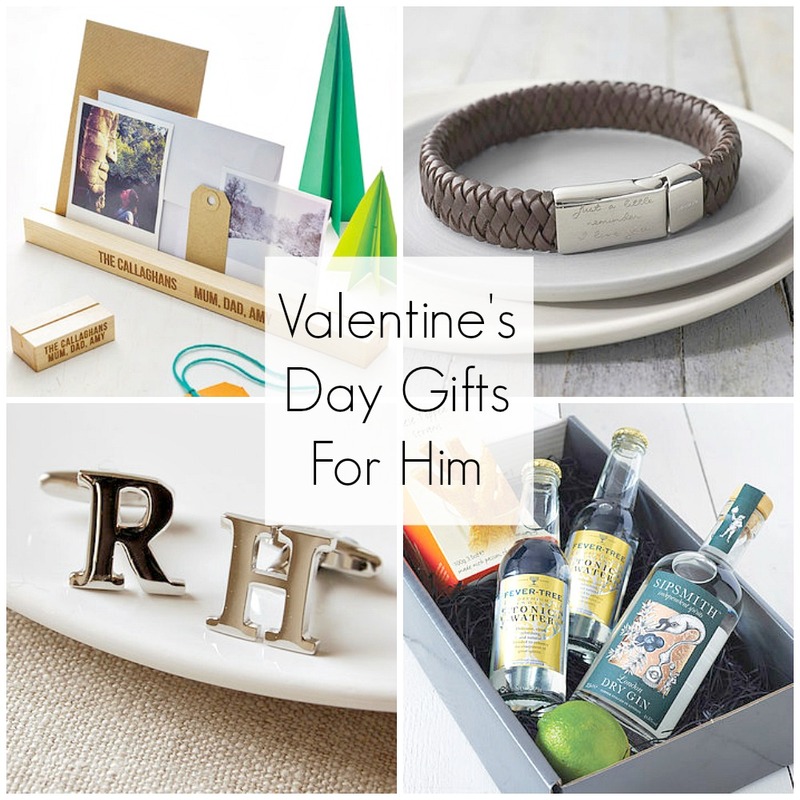 What are you getting your other half for Valentine’s Day? Would love to hear some of your ideas, leave a comment below. Happy Valentine’s Day whatever you do! Hello, This is a good post, thank you.